A week or so ago, I bought fresh shrimp from Costco Wholesale here in San Antonio. We like having it at home because it’s easy to serve, and it holds everyone over until dinner is ready. Of course, I often make my guacamole recipe, which complements the rest of the menu. After trying one of the shrimp, I noticed that it tasted too fishy. Eating one might be fine, but the odor was strong. I decided to put it in the garage refrigerator, so that I could return it to Costco. The problem, though, was my schedule. My daughter’s graduation had me on the road for a few days, and I’d been busy with work-related items. When I did have time, I forgot the shrimp. Go figure! This past Sunday, I made it a point to return the not-so-fresh shrimp. I checked the website and learned that the nearest Costco closed at 6 p.m. on Sunday. Hurriedly, I left the house and made it to the wholesaler by 5:40 p.m. The customer service agent said, “So you didn’t like the shrimp.” I let him know that it didn’t taste right, and apologized for not having the receipt. He looked up my purchases in the system, and asked if I wanted store credit or cash. Given that I was going to shop for a few items, store credit worked just fine. I’m one who doesn’t like carrying my wallet in the back pocket. In fact, I don’t like to carry coins in any of my pant pockets. The only item in my pockets is my ChapStick. Another important point here is that my wallet will not fit in my pockets because it has way too much stuff in it. I have credit cards, pictures, business cards, and some cash. I noticed recently that I’m carrying Thailand currency in there was well. That’s crazy! After purchasing Diet Dr. Pepper, peanuts, bananas, and a few other items, I rolled the shopping cart to my car. My wallet was laying in the seat part of the cart. I transferred the groceries from the cart and into my car. However, I accidentally left my wallet behind. I went outside looking for Chris (picture provided), and thanked him for finding my wallet. 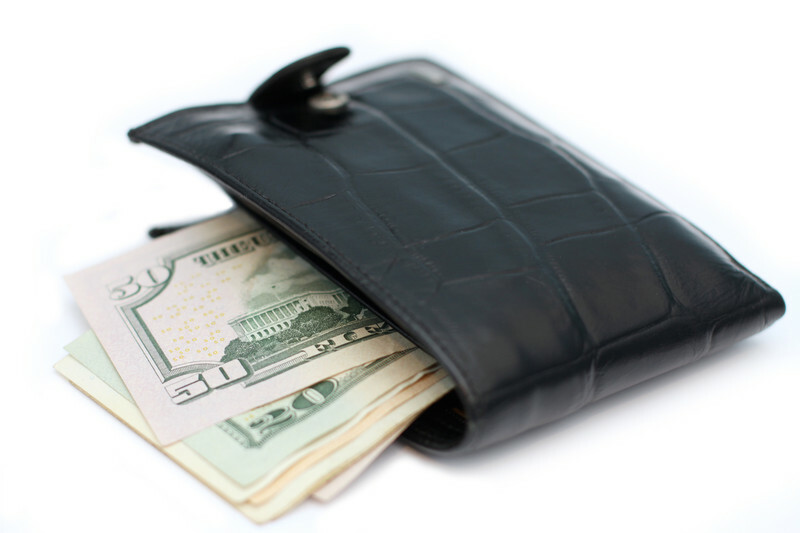 He said, “Yeah … I did find your big, fat wallet! Glad you were able to get it back.” Me too! The fact that Chris was professional enough to return the wallet says a ton about him. While I was carrying only about $50 in cash, my driver’s license, credit cards, and other valuable items were in there. I will make sure to write a positive note to Costco management praising Chris for his integrity.